HUGO BOSS FEMME IS ONE OF MY FAVORITE FRAGRANCES HANDS DOWN. THIS IS A SULTRY SCENT THAT IS LONG LASTING AND JUST SMELLS SIMPLY WONDERFUL. I HAD A LADY IN THE GROCERY STORE COMPLIMENT MY PERFUME, SHE SAID SHE WAS 3 AISLES OVER AND COULD SMELL MY PERFUME SO SHE HAD TO ASK ME WHAT FRAGRANCE I WAS WEARING. I may have found it - the scent I can call my own! Surprisingly when I let this one linger, it wasn’t loud and it didn’t smell typical of most fragrances - plain flowery. It’s delicate, attractive and soft. Loving it. Hugo boss femme is a lovely but delicate fragrance. I don't find anything casual about it at all. I'd say it's more on the romantic side,because of the sophisticated bottle design. A tad bit out of my budget but hey,a little splurge won't hurt now and then,would it? Just beautiful. 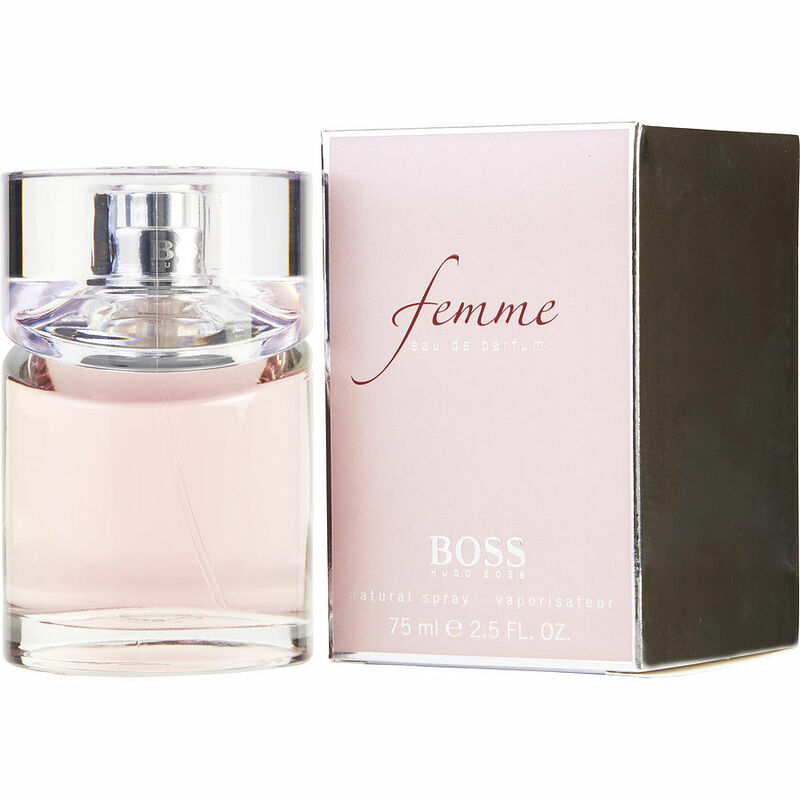 Femme by Hugo Boss: I have been using this Perfume for years and I get so many compliments both males and females..! I love this scent. It's so soft & pleasant,and it's just perfect for a summer wedding I'm attending next month. It was a toss up between this and deep red. Hugo Boss is definitely the 'Boss' of all fragrances.